Kylie Jenner’s very own Kylie cosmetics are here. 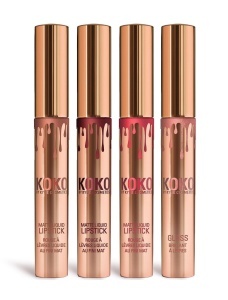 The girls all around are running after Kylie’s cosmetics and therefore the new ‘IN LOVE WITH THE KOKO’ liquid lip collection has a great demand world-wide. This collection promises to give a long lasting effect never felt before. 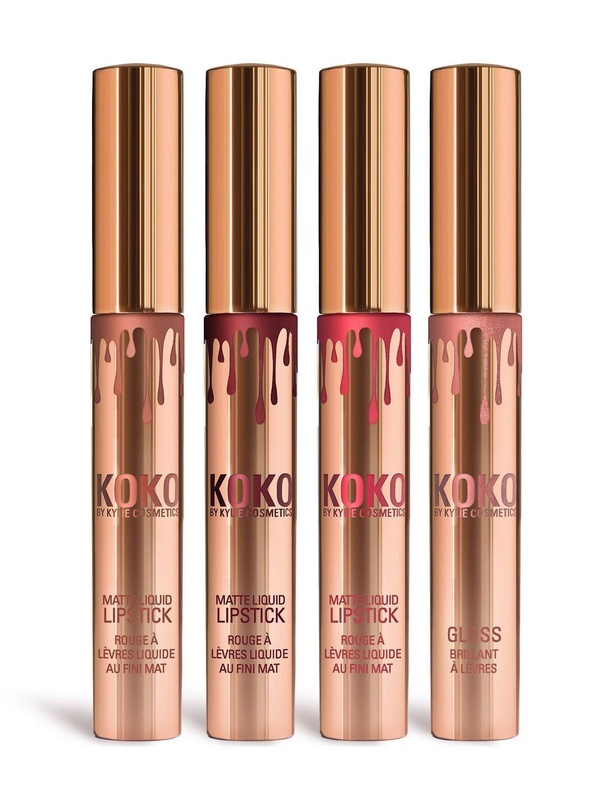 The ‘IN LOVE WITH THE KOKO’ collection contains 3 matte liquid lipsticks and 1 gloss. The shades of the matte collection are Bunny, Doll and Baby girl whereas the gloss contains the Sugar Plum shade. These shades are pigmented with high intensity and thus give a bold matte look. Initially, we thought that these would dry up my lips but interestingly, they didn’t as they contain moisturising ingredients which soften the lips and leaves a silky feel behind. It is a cool mid-tone mauve shade which is quite like a light or medium purple tone. The best thing about it is that it has no traces of shimmer and gave a creamy and opaque look on our lips. If you adore bright colours then this tangerine shade which provides a deep orange-red tone is perfect for you. The tangerine colours on lips are like garnish on the cocktail and gave a refreshing look to the lip. It is a warmed muted coral which is a perfect shade for summers. This warm colour appeared to be rich and vibrant and gives a natural glow. It has a soft shimmering shade which gives a luminous effect to the lips. With the blend of vitamin E, it nourishes the lips and the natural lip enhancers present in it provides volume. However it seems that the glossy appearance would not last long but when we used it, it was actually retained till evening. This shade gives a long lasting glossy effect on the lips. They have a long lasting effect and do not dry out easily. Blended with Vitamin E for nourishment. These shades are not sold individually. So we would like to conclude that these shades have a promising effect and everyone can rely on these without giving a second thought. Once used, you will definitely fall in love with them just like us.